N25 River Barrow Bridge Update 1 - Banagher Precast Concrete Ltd. Steady & impressive progress being made by BAM Ireland & Dragados on the N25 River Barrow Bridge. 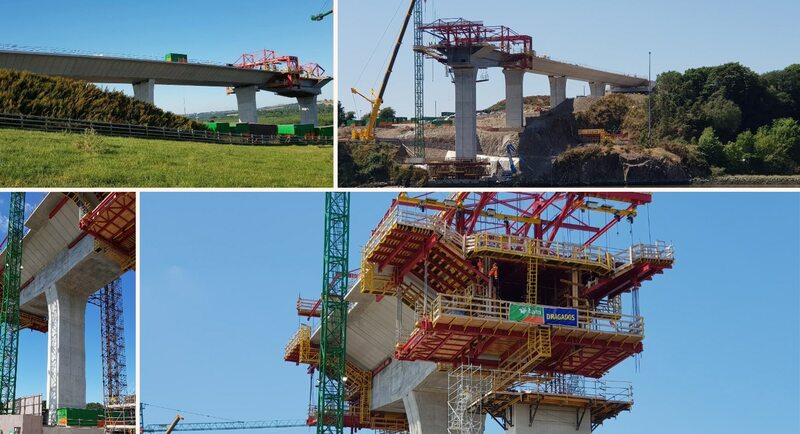 Some of our 1,122 Banagher Precast Concrete side panels can be seen in this photo – each panel is being fitted via the form-traveller, finishing off this amazing structure in precast. When finished it will be the longest extrados bridge in the world.